Ol Tukai Lodge is one of the best spots in the world to watch elephant with the backdrop of Africa’s highest mountain‚ Mount Kilimanjaro. 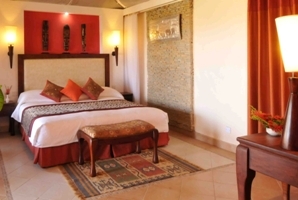 Writers have described Ol Tukai and the surrounding Amboseli National Park ‘as a home for the Gods’. 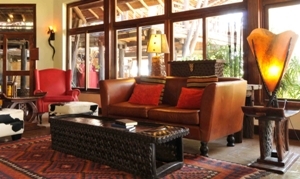 Ol Tukai is an Eco-rated lodge having excellent outdoor and indoor facilities with its unique collection of African art. 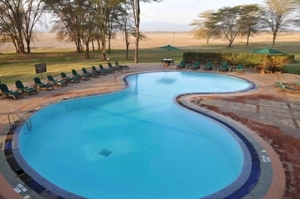 The property receives overwhelming response from the international and local tourism market. Lunch and afternoon game drive. The well versed drivers will ensure that it is one of the most memorable one hour drives of your life! Refreshments are served in the vehicle. Wake up to a hot cup of hot chocolate and enjoy an early morning game drive coming back in time for breakfast. Soak up the sun by the pool side while enjoying a fruit punch from the pool bar. Or enjoy the bird walk that starts at the entrance of the hotel and winds its way under the canopy of acacia trees around the lodge. Ol Tukai is home to almost 300 species of beautiful African birds. There is an in-house expert Ornithologist if you wish to learn more. After lunch enjoy another gamedrive. After a sumptuous breakfast transfer to the airstip for flight back to Nairobi Wilson. costs of a personal nature. Child Policy: Children under 2 years sharing room with parents are free. Child rates applies to children aged 2-11 years of age. NOTE : Send an email to safaripackages@airkenya.com to reconfirm your booking.The booking reference number must be indicated.